The best book on the topic of insurgency and counterinsurgency I have read. Excellent selections to explicate the main themes, showing how some methods of counterinsurgency succeeded as well as dissecting the problems in the ones that failed.Begins with the U.S. dealing with the insurrection in the Philippines at the turn of the 20th century and continues into modern era with special focus on Algeria from 1954-62. If you are looking for a readable yet scholarly commentary on the topic, I strongly recommend this work. This work is an examination of insurgency and counter-insurgency wars during the 20th century using four wars as case studies. The Philippines, Vietnam, Malaysia, and Algeria are the studies. The author is off on when American involvement in Vietnam started as President Kennedy sent armed military advisors prior to the authors start date of 1965 and several were killed in country. Otherwise, it is a readable book on the subject. The writing is not very good, some of the details and analysis are too sparse. He highlights two successful counter-insurgencies and two unsuccessful ones, but does not do enough to explore if any pattern exists or not.One aspect some might find interesting is his treatment of Vietnam as an insurgency. But I think Max Boot dealt with this concept better in his book on small wars. 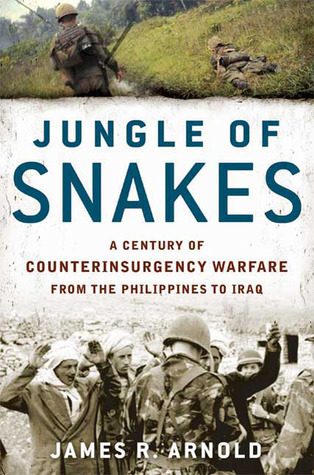 Interesting overview of 4 20th C. counter insurgency efforts: Philippines, Algeria, Malaysia and Vietnam. Some interesting information but not as in depth or as clear as I would like. Actually very good. Covers 4 insurgent episodes very well, looks for parallels that may help inform these types of actions in the future. If you into counterinsurgency strategy this is a must read. Very good lessons in history that will help in current conflicts in Iraq and Afghanistan.